The Guardian compiled a list of the top 10 beaches in Brazil as chosen from some of the world’s foremost experts on travel to Brazil. Not surprisingly, many looked far beyond the famed coastline of Rio to come up with a list of beaches as far-flung as the river beaches in Alter do Chao deep in the Amazon rainforest, to Taipus de Fora on the Maraú Peninsula in the state of Bahia where the snorkeling is among Brazil’s best. 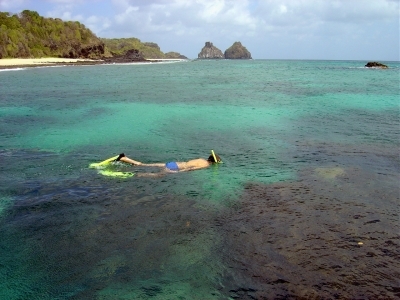 At #2 is is the eco-paradise of Fernando de Noronha, one of Brazil’s best kept secrets (outside of Latin America that is). A UNESCO World Heritage Site, this 21-island archipelago is held in the “brazilian imagination somewhere not far from Shangri-la, Atlantis and paradise. People glaze over when you mention it: eyeballs tend to roll upwards in that universal gesture of delight.” Slow down now, are we still talking about a beach here?